Crizanlizumab is being developed as a monthly infusion therapy to prevent pain crises in sickle cell disease. 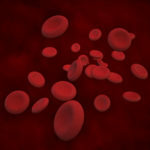 Novartis announced that the Food and Drug Administration (FDA) has granted Breakthrough Therapy designation for crizanlizumab (SEG101) for the prevention of vaso-occlusive crises (VOCs) in patients of all genotypes with sickle cell disease. Crizanlizumab, a humanized anti-P-selectin monoclonal antibody, is being developed as a monthly infusion therapy to prevent pain crises in sickle cell disease. It works by binding to P-selectin on the surface of platelets and endothelium in the blood vessels. It has shown to inhibit interactins between endothelial cells, platelets, red blood cells, sickled red blood cells, and leukocytes, causing a blockade and thereby preventing these cells from being able to bind to P-selectin. The Breakthrough Therapy designation is based on data from the Phase 2 SUSTAIN trial that compared crizanlizumab vs placebo in patients with sickle cell disease. The data showed a 45.3% decrease in the median annual rate of VOCs leading to healthcare visits with crizanlizumab vs placebo (1.63 vs 2.98; P=.010) in patients with or without hydroxyurea therapy. Also, treatment with crizanlizumab significantly increased the percentage of patients who did not experience any VOCs vs placebo (35.8% s 16.9%; P=.010) during treatment. Regarding safety, the rate of treatment-emergent adverse events (AEs) were similar between crizanlizumab and placebo (86.4% vs 88.7%) as well as the rate of serious AEs (25.8% vs 27.4%); the rate of discontinuations due to adverse events was low (3%). Arthralgia, diarrhea, pruritus, vomiting, and chest pain were the most common AEs that occurred in ≥10% of the patients in the crizanlizumab arms (2.5mg/kg and 5mg/kg). The Company anticipates regulatory filing for crizanlizumab in the first half of this year.